A quarry is a type of mine known as an open pit mine because it is open to the surface. The quarry is the pit where rock and natural stone are removed from the ground for use as construction materials. This includes aggregates for construction projects and stone slabs for the natural stone industry. Travertine, sandstone, granite and marble and other types of natural stone are cut into large slabs when they are removed from a quarry. Quarrying natural stone is a laborious multi-step process. The work begins long before stone is ever removed from the ground. Geologists search for stone outcrops to locate quarry areas where quality slabs can be extracted. Specialized drill bits are used to remove core samples, which are tested to ensure that the stone is suitable for use in construction projects. After testing, samples are polished to determine stone colors and patterns. The quality of the stone and aesthetics are important for beautiful and durable granite countertops, marble vanity tops, travertine bathtub surrounds, soapstone wallcoverings, and other interior design materials. Licenses are required for quarries in all countries. The process of applying for licenses varies from country to country. Depending on the country, the process can take months to years. In the United States, licenses must be obtained from local, state, and federal governmental agencies. In some other countries, the process can take even longer and can be more complex. The process of reaching the natural stone that needs to be extracted can be challenging and vary in difficulty depending on the environment. Often, dirt must be removed and tunnels may need to be dug to reach the stone that needs to be quarried. Natural stone slabs are initially extracted in large blocks using dynamite, wire cables, drills, and other specialized equipment. Once the larger blocks are removed from the quarry, they are transported to a processing facility. Here they are cut into smaller slabs using a large saw, such as a gang saw or diamond wire saw, depending on the type of stone. The slabs are then polished, which is a process that works in a similar way to sanding wood, starting with coarse abrasives and moving to finer grit polishing heads to polish the stone. Some natural stone slabs, such as travertine, granite and marble may be coated with resin, which is removed during the polishing process. The slabs are then packaged in containers for shipping. The slabs are carefully packaged in the containers to prevent damage to the stone during the shipping process. 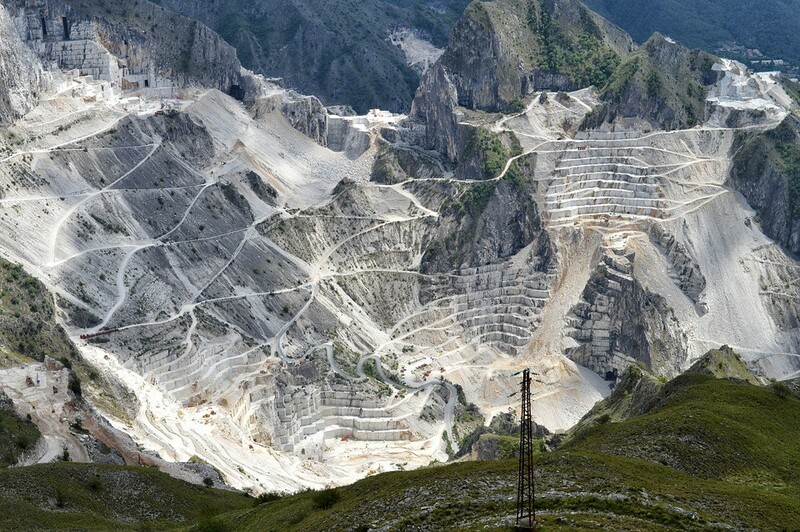 There are quarries around the world they produce different types of natural stone. The type of stone, stone colors and patterns of speckling or veins vary, depending on many geological factors that were present at the time and place where the stone was formed in nature. For example, some quarries produce light granite, while others have darker colored slabs. Stone is imported to the United States from many countries in different areas of the world to provide the wide variety of products offered by the natural stone industry. This variety provides homeowners and interior designers with plenty of options for residential and commercial design projects. The slabs can be custom cut to create exquisite marble vanity tops, travertine bathtub surrounds, dark and light granite countertops, bar tops, fireplace surrounds, and much more. 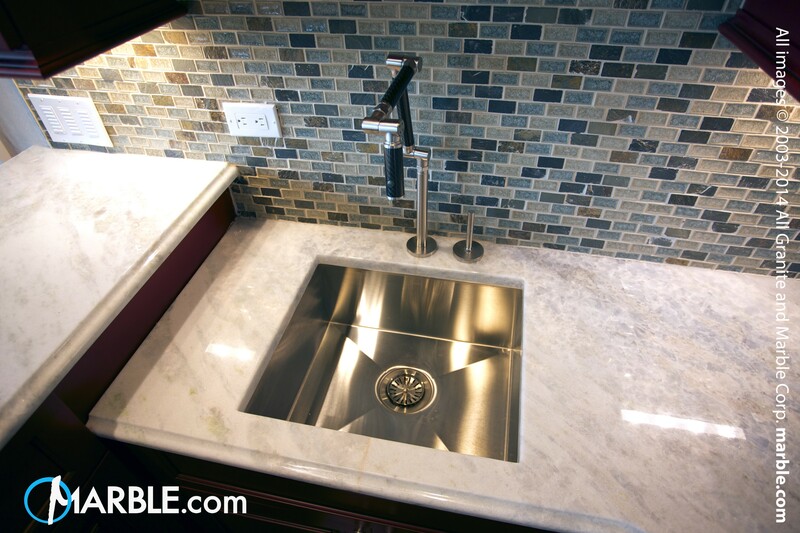 You don’t have to travel the world to find exquisite natural stone varieties. SlabMarket brings slabs from the world’s best quarries to you. If you own a slab yard, join SlabMarket to increase your stone options. Build containers with high quality slabs from quarries around the world to give your customers plenty of options for gorgeous natural stone for all types of residential and commercial construction and remodeling projects.